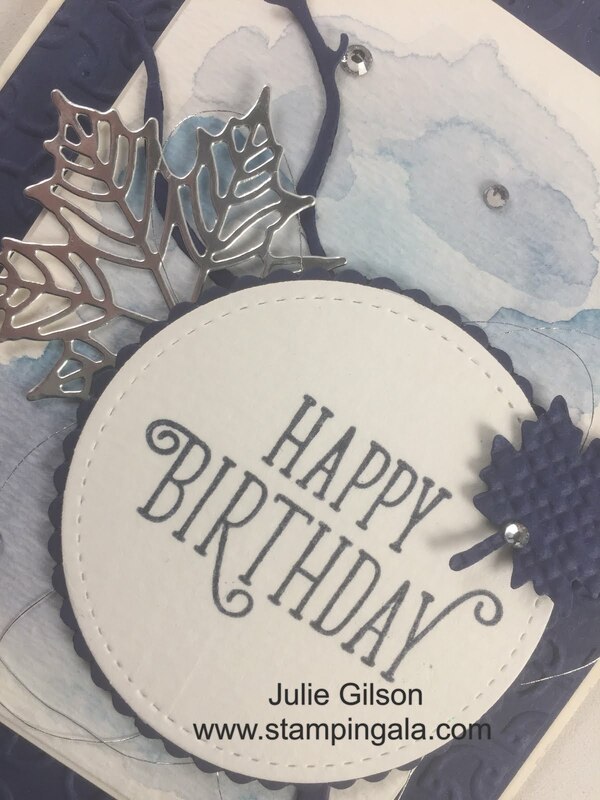 I only used one “Happy Birthday” stamp to create this beauty. I started with a piece of Watercolor Paper and randomly watercolored the background with an Aqua Painter and different shades of blue. 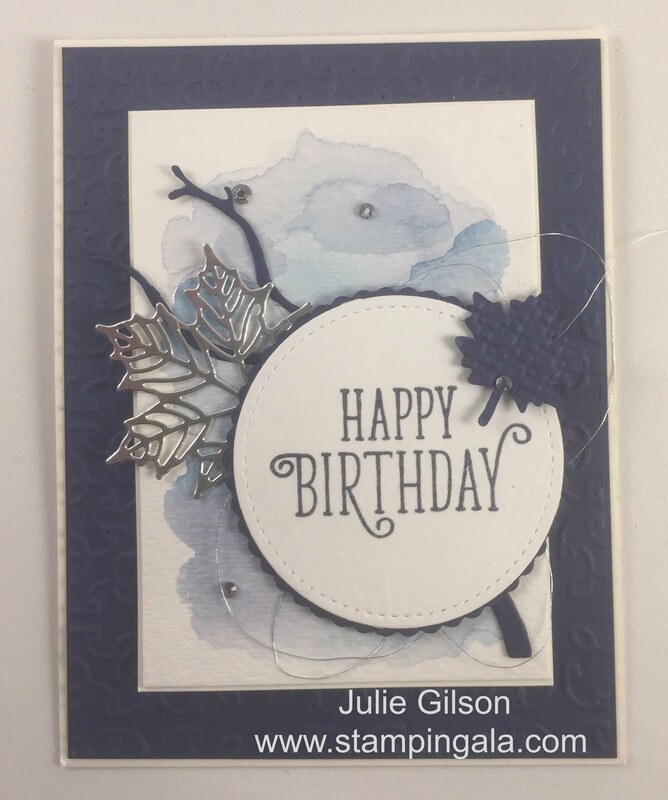 To add interest, I added some silver metallic thread and some die cuts from our Seasonal Layers Thinlits Dies.